Only 2% of applications are short-listed for an interview for the average job opening according to Glassdoor. Do not send generic CVs. Tailoring the CV to the position you are applying for is becoming more crucial today. Here are the reasons why. One of the impacts of modern technologies on the recruitment process is the Applicant Tracking System which tends to be broader used also in 2018. Usually big companies apply it to pre-screen the hundreds of applications they get on daily basis. On the other hand, the recruitment staff or hiring managers will not spend more than 2 minutes reviewing your CV, so it must give the right message and be to the point. How to customize your CV to the position you are applying for? Part 1: Read the job description carefully and understand it well. Make sure you understand the objective of the position and identify the keywords. Part 2: Ask yourself what can I offer for this specific role? Then make a list of your skills and experiences that will be relevant for the role. Of course, make sure not to use false information, put only skills, experience which you indeed have, and you can offer. You can notice that the CV lacks the very important keywords “clinical“, “interventional cardiology” and “cardiothoracic surgery“. This could be a result that ATS will not short-list your resume. Use the important keywords several times in your resume . For examples if it is a sales role make sure to use the word “sales” in several parts of your resume if possible. While you prepare your CV, focus not only on the job description but also on the company you are applying for. Make a good research of the company, its values and organisational culture. Inform yourself about its products and services and check the profiles of company’s leadership team. Then ask yourself: how can you fit to this picture? and how can you contribute to the company? 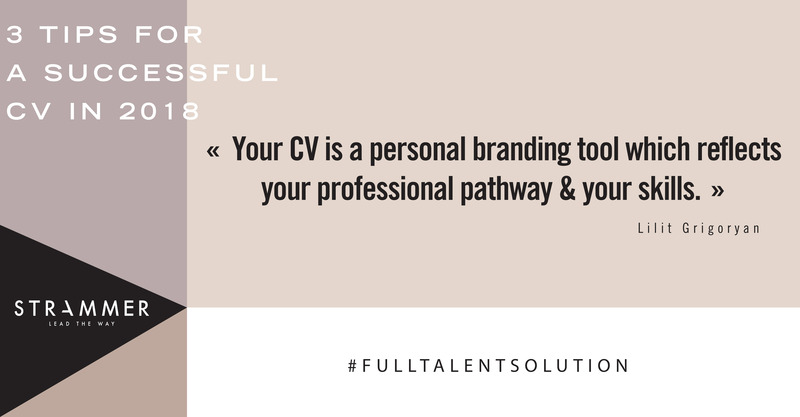 In your CV and cover letter make sure to share your certain value you would bring to the organisation and how you could make a difference for the company. Remember companies hire not only because you can do the job but because you can fit into the organisational culture and offer added value to the company. Your CV should be clearly presented. It must include your personal data, skills, professional experiences and education. You may include also a personal statement, interests and references. Make a detailed skill summary. Put all the relevant soft and hard skills in bullet points. Make sure to list all the relevant professional experiences. I recommend to make a short description of tasks and achievements under each position. For example (as a sales representative I reached my target to X% or raised the turnover of my region to Y%). The information in your CV should be simple to understand – do not use complex words. Do not make it too long and do not go into much details – in the end you should leave a certain room for curiosity for the hiring managers in order to get to know you in person, in order words to invite you to the interview. If you want to share your thoughts about the article Click here !